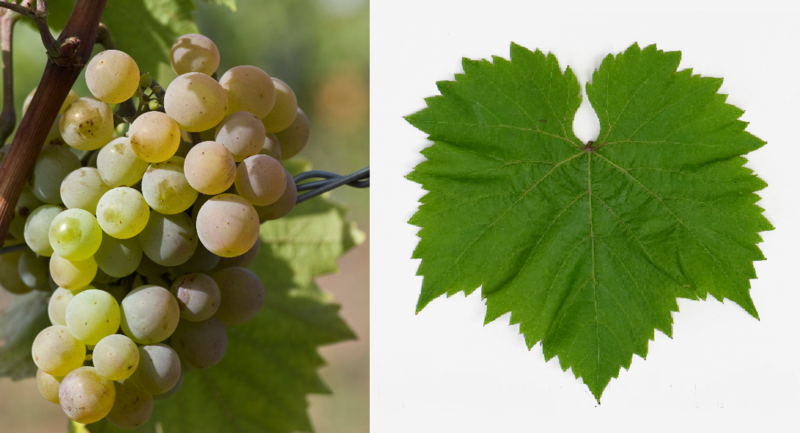 The white grape variety is a new breed between Eger 2 ( Villard Blanc x Csaba Gyöngye, Synonyms include Egri Csillagok 24, Pearl of Zala, Pearl of Zala, Pearl of Zala, Star of Egri, Zala Dende, Zala's Pearl and Zhemchug Zala. The name derives from the Hungarian territory Zala from. They are genes of Vitis berlandieri. Vitis rupestris and Vitis vinifera contain. The intersection of hybrid took place in 1957 by the breeder József Csizmazia and Laszlo Bereznai in Eger, the variety protection was granted in 1972. She was crossing partner in the new breeds Evita Blanche and Piroska, The early ripening vine is moderately resistant to frost and drought, but prone to real mildew, It produces acidic white wines and is also called table grape used. The variety is in Hungary especially grown in the Alföld on 1,755 hectares. There are more stocks in Russia (193 ha) and Germany (1 ha). In 2010, a total of 1,949 hectares were designated (Kym Anderson ). This page was last modified at 7 January 2019 at 14:03.